Driven by its commitment to “invest in the people with the values, ability and passion to change the world,” the Mandel Foundation, has awarded a $5 million grant to the West Palm Beach Library Foundation (WPBLF). “A public library is a vital resource for every person – students, parents, job seekers, budding authors and entrepreneurs alike. 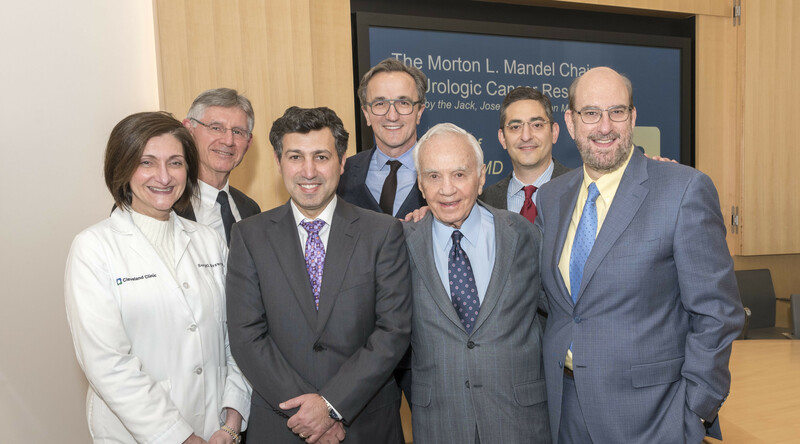 It often serves as the center point of a community,” said Morton L. Mandel, chairman of the Mandel Foundation. “We believe that the West Palm Beach Public Library is a world-class institution and a model for the modern public library. We are extremely pleased to be able to support this effort. The gift to the WPBLF will be awarded in the form of a grant, pending approval by the City of West Palm Beach, and has three major components. First, it will be used to fund the endowment of the WPBLF, whose mission is to help expand programs, enhance services and strengthen the collections of the West Palm Beach Public Library. Second, the grant funds will help develop the WPBLF organization and lastly, the grant will fund innovative library programs geared toward making the library more user-friendly, and attracting a wider variety of constituents. With this significant and notable gift, the West Palm Beach Library will be renamed in perpetuity, as the “Mandel Public Library of West Palm Beach.” In addition, representatives of the Mandel Foundation will serve on several committees of the WPBLF. “Over the past 10 months the WPBLF executive committee has worked closely with the Mandel Foundation to make this dream a reality. The Mandel Foundation has given the WPBLF and the library an extraordinary gift, one which will greatly help the library today and for many generations to come. This powerful collaboration will enable us to transform our library into a premier center for exchange of ideas and learning, a place in the community which all can benefit from and enjoy. We are deeply grateful to the Mandel Foundation for this generous gift,” said Jim Sugarman, WPBLF executive director. Sandy Myers, WPBLF board chair expressed gratitude to the Mayor and City Commissioners for working with WPBLF to create an agreement between the library foundation and the City of West Palm Beach that has enabled it to raise funds that will assist the library without using tax dollars to raise those funds. Funding for the library’s ongoing operational expenses is supported by City of West Palm Beach tax revenue. The WPBLF, in contrast, raises funds for programs and items that enhance and supplement the library’s basic services, such as updated technology and the acquisition of new books and other media collections. In addition to the Mandel Public Library of West Palm Beach, the Mandel family name is on six other buildings, and the foundation has made numerous donations in excess of $1 million. From 2006 to 2010, major grants were given to provide new facilities at six institutions, including a $22.5 million grant to establish The Mandel Center for the Humanities at Brandeis University, one of the largest gifts in the university’s history. 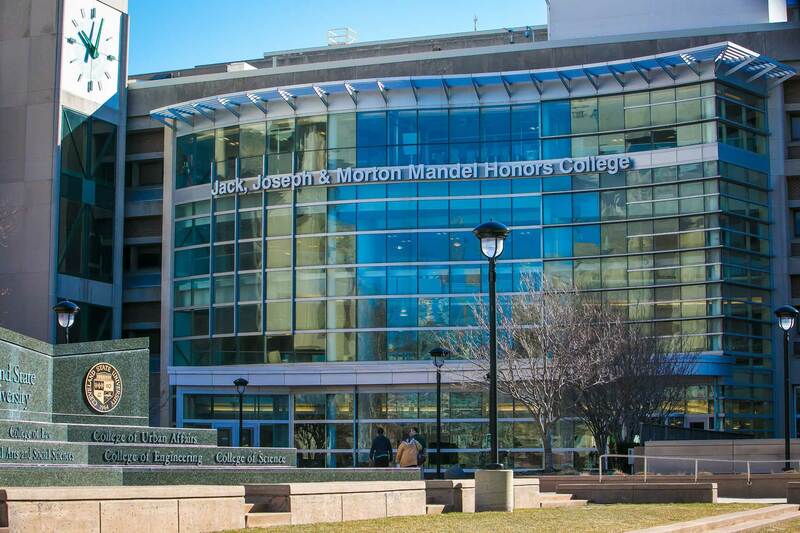 The foundation had previously established, at Brandeis, the Mandel Center for Jewish Education. In 2011, the foundation awarded an $18 million grant to the Hebrew University of Jerusalem to establish the Mandel School for Advanced Studies in the Humanities. Locally, the Mandel Foundation made a $5 million gift to the Jewish Community Center of the Palm Beaches toward the creation of the “Mandel Jewish Community Center” in Palm Beach Gardens. The Foundation Founders – Joseph Mandel and Morton Mandel and his wife Barbara are full-time residents of Palm Beach, Florida.